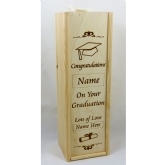 Birthdays, Weddings, Anniversary, Christening, Bat Mitzvah, Engagement, Retirement, Divorce! 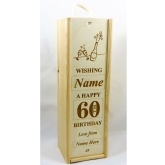 We can supply all types of personalised gifts to celebrate any occasion. Cake toppers for birthdays, weddings and many other celebrations, each one is custom made to order and we can achieve most designs. 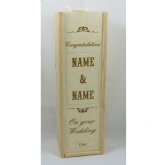 Wooden wine and champagne boxes laser engraved with a personal message, these are an unique keepsake gift for that special person who is difficult to buy for. Make a plaque to attach to a photoframe or jewellery box. 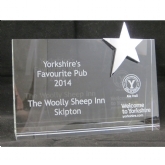 The list is really endless, if you have a specific product or idea that you might like to have engraved please give us a call to discuss in more detail.